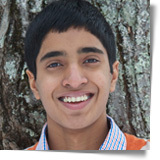 When he was 9-years-old, Dylan Mahalingam founded Lil’MDGs, an international development organization aiming to leverage the power of the Internet and social media to educate, engage, inspire and empower children and young people from across the world to work together to advance the United Nations (UN) Millennium Development Goals (MDGs). The MDGs were eight international development goals set in 2000, aim to meet the needs of the world’s poorest by 2015. Through his organization, Dylan, who is currently 18 years-old, managed to mobilize tens of thousands of children from 40 states across the U.S. and 43 countries to raise more than $780,000 for tsunami relief and over $10 million for hurricane relief. Through their combined effort, these young people have managed to make a tangible difference in the lives of over one million people worldwide. His organization has also raised funds and resources to build a dormitory for a school in Tibet, a computer center, library, and a mobile hospital in India, while also providing school supplies for students in many countries and creating a playground for a school serving HIV/AIDS orphans in Uganda. Apart from running Lil’MDGs, Dylan is also a youth speaker for the UN as well as a panelist and presenter for the UN Global Forum on ICT & Development, traveling domestically and internationally to spread the message of Lil’MDGs. The young changemaker is also the Chief Strategist and Project Ambassador for Under the Acacia (undertheacacia.org), a non-profit organization working on projects in Africa. In this capacity, Dylan is part of an international team that helped build two schools for remote Maasai communities in Kenya. Dylan has also designed and run multiple websites aimed at raising children and youth’s awareness about important social and environmental topics, such as protecting the coral reef and preventing animal cruelty. One of these initiatives, called “Green Your Lives,” was dedicated to educating students and school communities to advocate for a greener lifestyle choices, which would result in a reduction of energy costs and carbon emissions. For his many accomplishments, the young changemaker has received numerous national and international accolades. In 2007, he was recognized by Teen People’s Magazine as one of the ’20 teens who will change the world,’ while in 2012, the Huffington Post named him one of the ’25 most powerful and influential young people in the world.’ Dylan has also been acknowledged by Desmond Tutu, the Dalai Lama and three U.S. Presidents. At the same time, in 2009, Lil’MDGs was recognized by the UN for its best practice in e-content and technological creativity, demonstrating young people’s potential to create outstanding digital content and serving as a platform for people from all UN member states to work together to meet the MDGs.